Create flawless color with Mirabella''s new and improved lightweight blush duos in a beautiful array of modern shades. These dual-intensity, silky blushes can be worn alone or layered for limitless looks. Mineral Formula is Talc-free, Gluten-free, and Paraben-free. Nothing completes flawless foundation applications like a little touch of color. Adding a healthy, radiant glow to the skin, blush is a must for creating a look that’s ready to take on the world. Mirabella’s Blush Duos creates a two-toned finish with its darker shade to accentuate and define cheekbones and lighter to bring it all together. These perfectly paired shades feature both matte and shimmer pressed powders that are specially selected to work in unison to craft finished looks that are simply stunning. 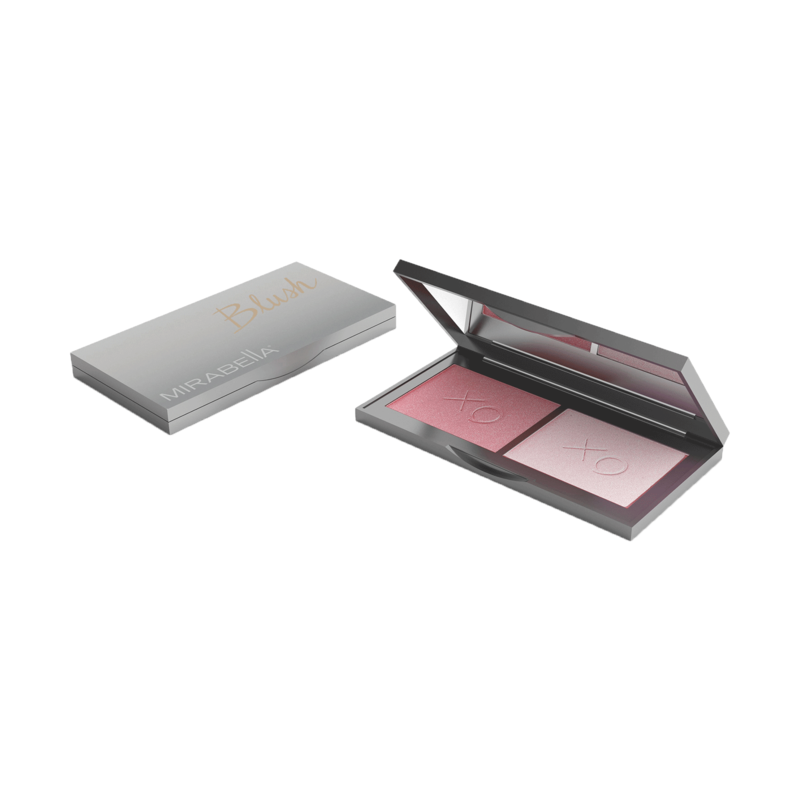 As with all Mirabella products, Blush Duo is formulated with quality and skin health in mind. Available in 4 shade duos, this formulation is ideal for women of all color. MICA, SILICA, POLYMETHYLSILSESQUIOXANE, CAPRYLIC/CAPRIC TRIGLYCERIDE, OCTYLDODECYL STEAROYL STEARATE, MAGNESIUM STEARATE, PHENOXYETHANOL, CAPRYLYL GLYCOL, SIMMONDSIA CHINENSIS (JOJOBA) SEED OIL, ETHYLENE/ACRYLIC ACID COPOLYMER, ETHYLHEXYLGLYCERIN, MAY CONTAIN/PUET CONTENIR/PUEDE CONTENER: MICA (CI 77019), IRON OXIDES (CI 77491, CI 77492, CI 77499), TITANIUM DIOXIDE (CI 77891), MANGANESE VIOLET (CI 77742), FD&C RED NO. 7 (CI 15850:1).